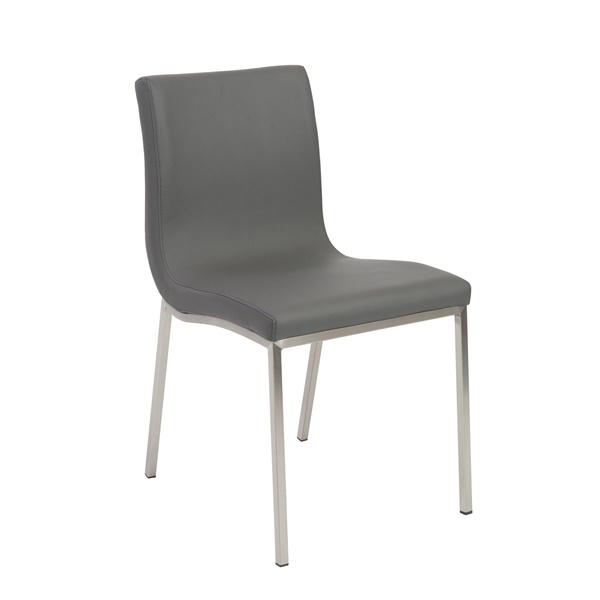 The delicate curves of the Scott Side Chair give it a flowing aesthetic that is both striking and subdued. Gently contoured to provide superb comfort, this chair combines modern design concepts with an artistic flair to create something truly unique. Ideal for any office setting, the Scott Side Chair will inspire performance. Constructed with a stainless steel base, this chair is in it for the long haul. What's the weight limit for this chair? The Scott Side Chair is rated for use up to 250 lbs. The Scott Side Chair can be cleaned using a mild soap and damp cloth. The seat height on the Scott Side Chair is 19 inches.